The versatile Alison Brown and her band are back at the Diana Wortham Theatre for a night of beautifully imagined bluegrass, jazz and other genre-crossing tunes on Friday, November 6, 2015, at 8:00 p.m., with old favorites along with selections from Brown’s just-released (October 9, 2015) album, The Song of the Banjo. Formed in 1993 by the Nashville-based Compass Records founders Alison Brown and Gary West, the band transforms straight bluegrass beats into complex mixtures of jazz, Irish-style melodies, and more. 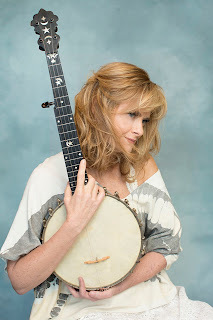 Alison Brown has received three Grammy nominations for her solo recordings and one Grammy award in 2001 for “Best Country Instrumental Performance.” Her music has also garnered the International Bluegrass Music Association’s award for “Banjo Player of the Year” (1991). This year, Brown was awarded the IBMA Distinguished Achievement Award, and in 2014, she was granted the United States Artist Fellowship. Described by Pulse magazine as a “genre-bending banjoist,” Brown and her band manage to incorporate world styles as well as traditional plucking in their music, the result being highly original tunes and creative adaptations of the classics. On this latest album, Brown and her stellar band have mixed seven originals with six surprising covers of pop and rock classics from the ‘70s and ‘80s, including “Dance With Me” and “Time After Time.” The band’s line-up on this tour features the talents of Brown on banjo and guitar, Joe Davidian on the piano, Christian Sedelmyer on the fiddle, Gary West on bass, and Bryon Larrance on drums. At the age of sixteen, Alison Brown won the Canadian National Banjo Championship, and then recorded an instrumental album with fiddler Stuart Duncan. She later earned an AB degree from Harvard University and an MBA in finance from UCLA, spending two years as an investment banker before returning to music. After touring with Alison Krauss and Union Station, and as bandleader for Michelle Shocked, she formed the Alison Brown Quartet with her husband and Compass Records business partner, Gary West. 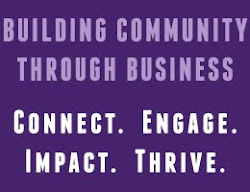 Alison Brown’s Asheville performance is made possible by Performance Sponsors Dianne & David Worley, First Citizens Bank, and Ward & Smith, P.A. ; and by Mainstage Music Series Sponsors Joel & Deborah Berkowitz, Henry LaBrun, and the Omni Grove Park Inn; with additional support provided by Media Sponsors WNC magazine and WNCW 88.7FM.